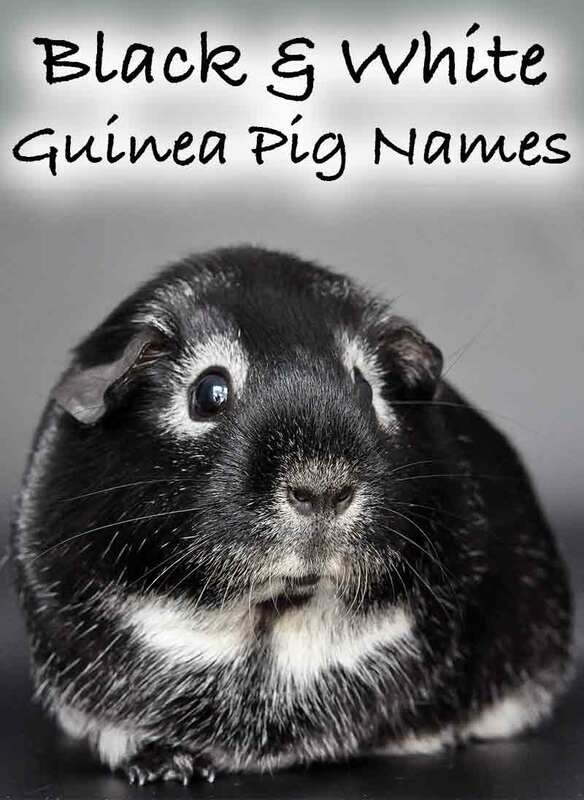 Welcome to our fun guide to black and white guinea pig names. 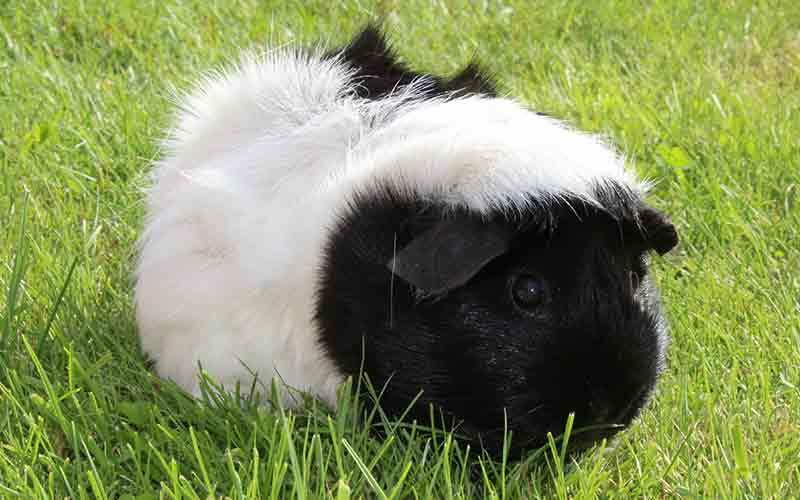 Helping you to pick the best names for black and white guinea pigs and their friends! 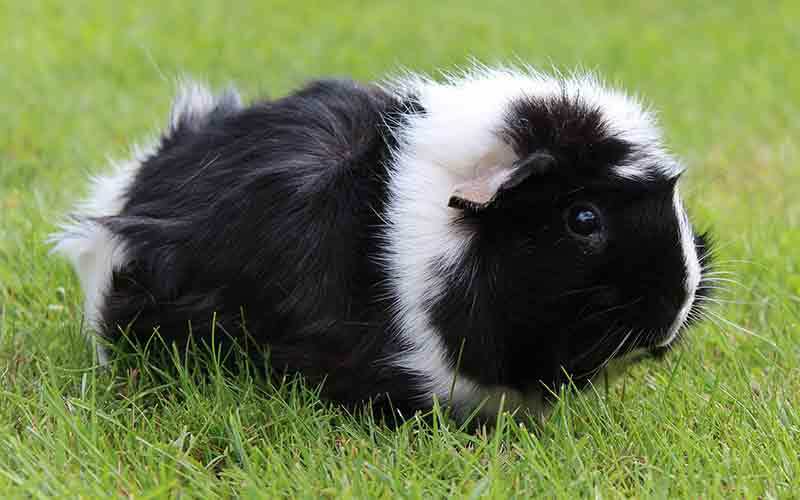 As you know, guinea pigs rarely arrive solo, so we’ll help you to name your black and white guinea pig’s pal too. We’ll bring you a selection of names that would sound totally awesome for your gorgeous guinea pigs. Broken down into fun sections, you can pick the perfect names for your new pets. Let’s make a start with some names that will totally match your gorgeous black and white guinea pig’s fur coat. 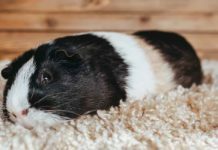 If your black and white guinea pig is predominantly black in color, then you might like to go with one of these cool black guinea pig names. One of my little boy guinea pigs is brown and white, and was aptly named ‘Brownie’. It definitely suits him. White guinea pig names can work really well on a black and white guinea pig with a predominantly pale coat. But just because you have a beautiful black and white guinea pig, doesn’t mean they need a color based name. A lovely way to name black and white guinea pigs is to simple give them a nice human name. I have nine guinea pigs sharing my home with me at the moment, and their names vary quite a bit. But some of my favorites are those with human names. Including Mabel and Tallulah. 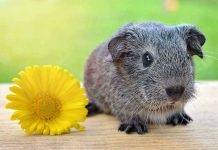 Flick through this selection of cute female black and white guinea pig names and see what you think! 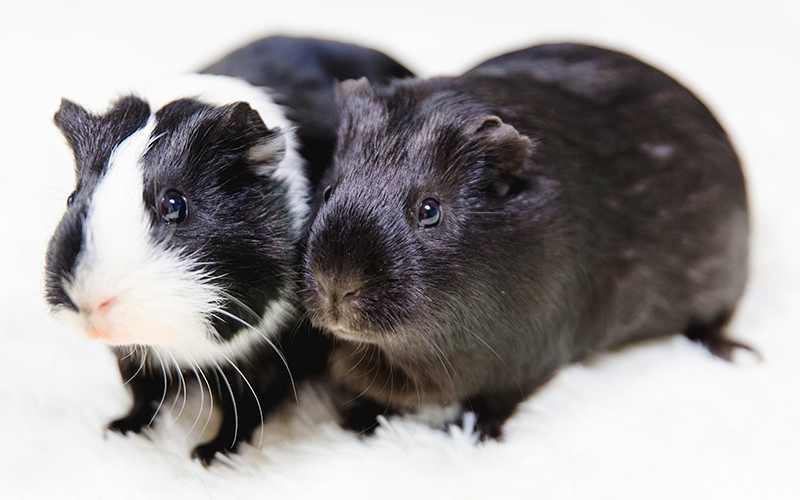 Male black and white guinea pig names can come from the world of human names too, of course! Whether you like traditional names, popular names or slightly more off the wall names. We’ve got a range of cute suggestions that will hopefully suit your new friend down to the ground. When it comes to picking a name for your guinea pig, there is another way to search. Beyond the books of standard baby names. Disney has produced some totally awesome characters over the years. From goodies to baddies, girls to boys, there are an amazing selection to choose from. If you or your kids love a bit of Disney magic, then it’s a great place to get inspired. Here are our favorite Disney guinea pig names. But great names don’t just come from fantasy, of course. There are some incredible people that you might like to tip your hat to when choosing the best black and white guinea pig names. Do you suspect that your guinea pig might be a bit of a genius? Outsmarting her guinea pig friends, and maybe even you? Here are our favorite clever guinea pig names, inspired by some of the biggest names of from science. Who doesn’t love a guinea pig with a gorgeous flowing coat? Although these little darlings are slightly higher maintenance, there adorable look is well worth the effort. And there are loads of fun ways to name them too! From traditional long haired beauties to the wonderful world of long haired rockers and celebs. There are tonnes of characters with long hair or great descriptive words. 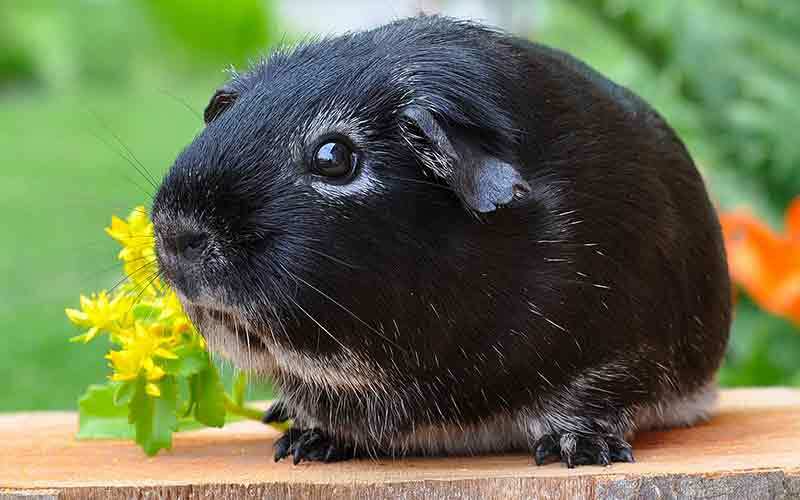 We’ve picked our wide ranging favourite long haired guinea pig names for you here. Another super fun way to name your guinea pig is to get a bit creative. Creative guinea pig names can have numerous sources of inspiration. From art to nature, people to places. Think of something, or somewhere that you love, and follow that train of thought. Here are some of my top creative guinea pig names that your new friends might love. 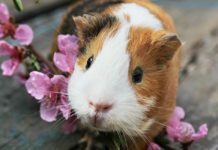 And how could we end this great guinea pig names list without adding in that most shining feature of the guinea pig – adorableness! These are without a doubt some of the cutest, sweetest and most adorable pets out there. Here are my favourite adorable guinea pig names for black and white guinea pigs and their friends! Choosing the best names for black and white guinea pigs is great fun, but a big task. My guinea pigs are a wide range of colors and types, with names coming from a host of inspirations. From the world of My Little Pony, to the pattern of their fur. We have Dash, Mabel, Celestia, Tallulah, Clover, Donut, Hog, Brownie and Squeaker. You can probably guess why Squeaker ended up with her name – even for a guinea pig she’s incredibly chatty! I hope you had fun checking out our ideas for black and white guinea pig names. And whatever way you decide to pick your guinea pig’s name, I’m sure it will be perfect for her.